I went to Singapore two weeks ago for a short weekend getaway and came back with three books. I’m pretty sure some of you are probably like Huh? Only three? I know! I went to visit my favourite bookstore in Singapore and spent hours in there. I did plan to go crazy and buy as many YA/NA books I can get my hands on until I found myself browsing through history sections. Whaaat? I know. Like I mentioned, bookstore visit is one way of finding new reads and releases in the genre I don’t usually read. This time, it’s all about the history of European royals. As the title suggest, I ended up buying some history books. My initial thought was to buy books about the Israel-Palestine war (this is me trying to educate myself of current events), then about World War II, and the next thing I know, I was looking at the royal history section. I don’t think it’s a secret anymore that I’m a royalist. Remember all the royal YA/NA books I’ve read and written about on this blog? Apparently now I also read non-fiction royal books. One royal family that I’m interested in is the Romanovs. I’m not sure what actually makes me interested in them, was it their tragic ending or the grandeur of the family when it rules Russia for over 300 years. I ended up picking two books about the Romanovs. 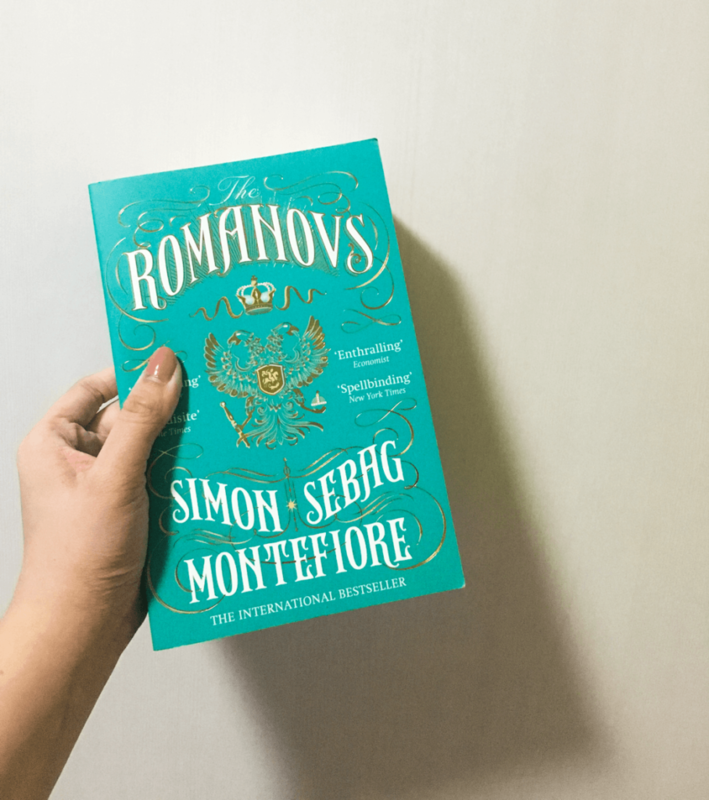 The first book I picked up was The Romanovs: 1613-1918 by Simon Sebag Montefiore. I haven’t read the book but based on the synopsis, the book is full of highlights of the lives of the members of the Imperial Family. The only part of the book that I’ve seen is the family tree, which is quite detailed to my delight. I’ve skimmed through the table of content and it makes me really excited to read the book because the title looks fun. I have high expectations for this book that it would not be a boring history book at all because it seems that Montefiore focused on the ‘fun’ part of these royals lives. 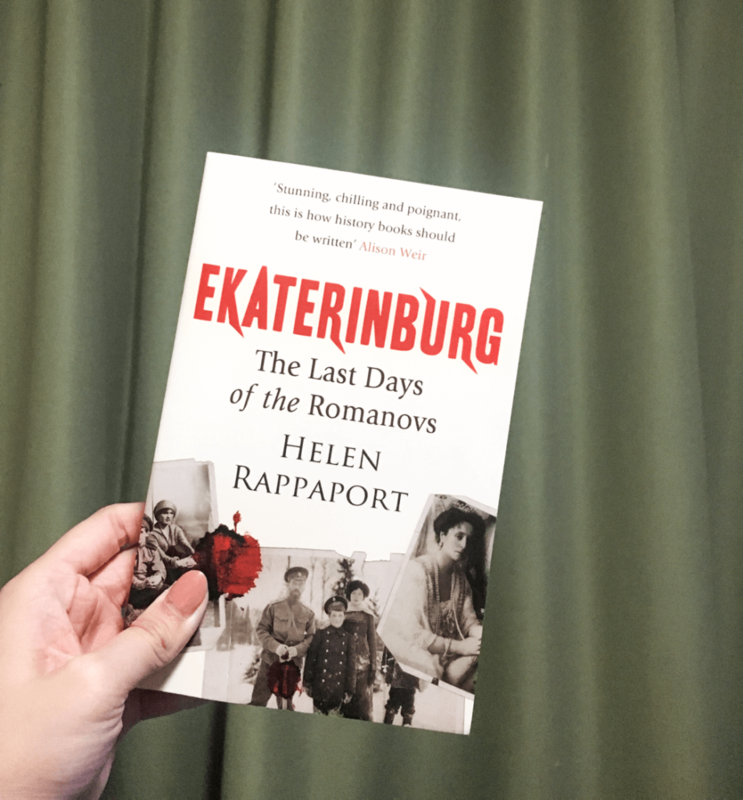 The second book I picked up is also about the Romanov, particulary the last Romanovs, titled Ekaterinburg: The Last Days of the Romanovs by Helen Rappaport. The tragic last days of the Romanovs is something that I’ve always been interested in. I sound like a creep, don’t I? I haven’t read the book as well so as of now, I don’t know what to expect out of this book except that it tells the story of the execution of the Imperial Family. Before I grabbed Ekaterinburg, I decided to check the reviews and it receives great reviews from a lot of people. Supposedly, it doesn’t only talk about the killing itself but also the political climate surrounding the event. I am really looking forward to reading this one. The last book I bought is about the notorious Borgias family. My knowledge of the Borgia family was very little and it came from Lucrezia Borgia wikipedia page. I don’t remember how exactly I reached that page. Let’s just say there are moments when I don’t know what to do and just randomly browse Wikipedia page. Anyway, back to the book; I didn’t plan to read more about them or buy books about them. 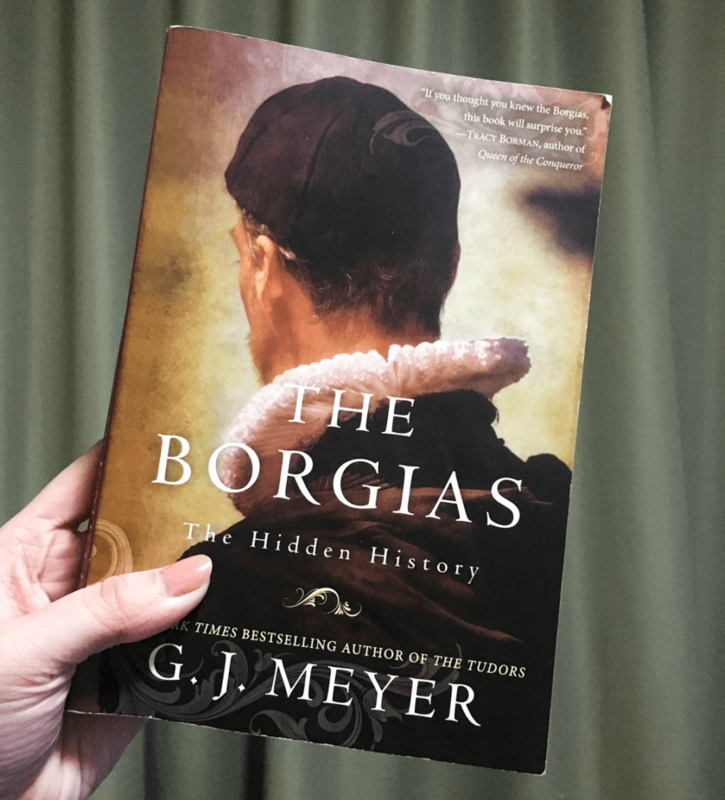 However, the synopsis of The Borgias: The Hidden History by G.J. Meyer just caught my attention. 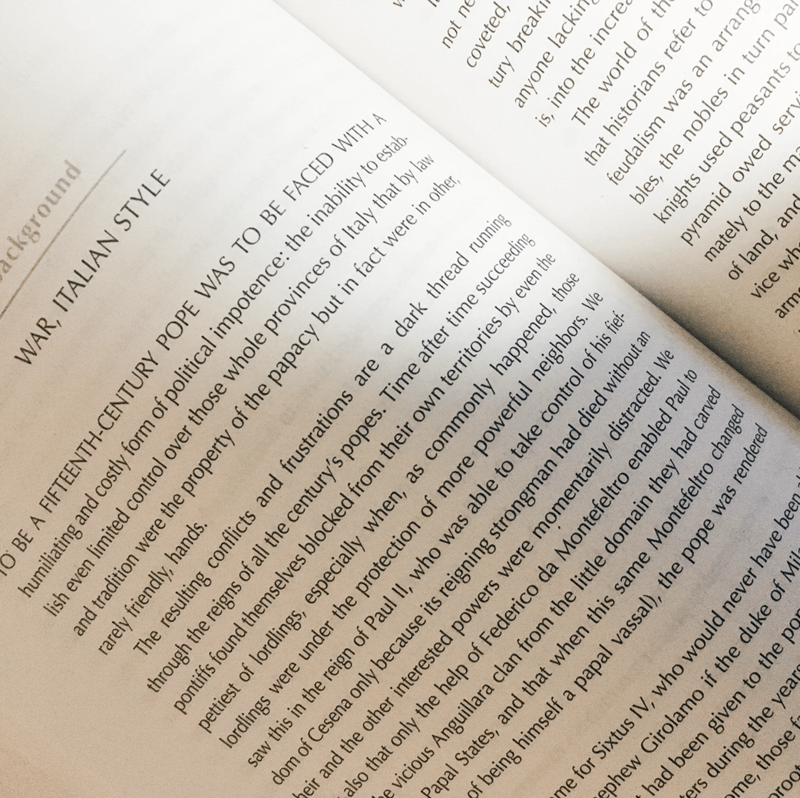 The Italian royal family is a topic I’ve never really read about because I feel that it’s quite complicated. After reading the synopsis, this feels like the right book to start reading about the Italian royal families. I’m currently reading this book and so far, I really enjoy it! Meyer wrote the book in a very calm and clear manner. In a way, it is kind of his way of re-introducing the Borgias and their stories to the world, who are only aware of their notorious stories. I’m only 40 pages in right now and really looking forward to continue reading the book. Those are the three books I bought and I have a feeling that there are more history books coming to my bookshelf. My friend reminded me the other day of how much I used to hate history books. Well, not anymore! I have already set my eyes on two other books; The Romanov Sisters: The Lost Lives of the Daughters of Nicholas and Alexandra by Helen Rappaport and The Habsburg: Embodying Empire by Andrew Wheatcroft. Btw, what’s with history books and long titles? Are you interested in history? Have you read any interesting history book? I would love to hear your experience and if you have any recommendation, throw it my way through the comment section below!